Kendwa Rocks is one hour drive from Zanzibar Town towards the northern tip of the island. The road descends to one of the most fantastic beaches of East Africa. From the beach you see the lighthouse of nearby Tumbatu Island. Sunbathing may be enough, but you can also do snorkelling, diving or fishing and enjoy small boat trips on the turquoise waters. Beautiful sunsets are everyday thrill and moonlighted nights on the white coral and seashell beach make an unforgettable experience. The choice of accomodation is ample: choose a spacious suite or family room, coral stone or palmwood bungalow or just a simple palmwood banda! 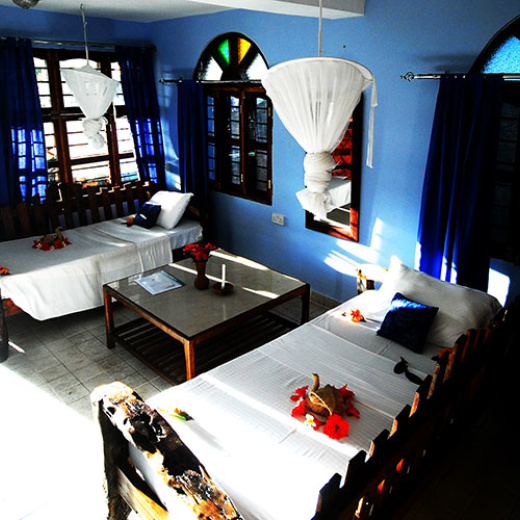 The rooms are surrounded by coconut trees and lush tropical gardens. Kendwa Rocks Restaurant specializes in Swahili and Indian Ocean kitchens, but our chefs master a wide range of dishes from all over the world. Seafood is naturally the focus, but beef and chicken are available and vegetarians haven't been forgotten either. We have a pizza oven and an delicious sushi too. BEACH BAR is a perfect spot for admiring the glowing sunsets. It serves African beers and wines, a variety of exotic cocktails and fruit juices. 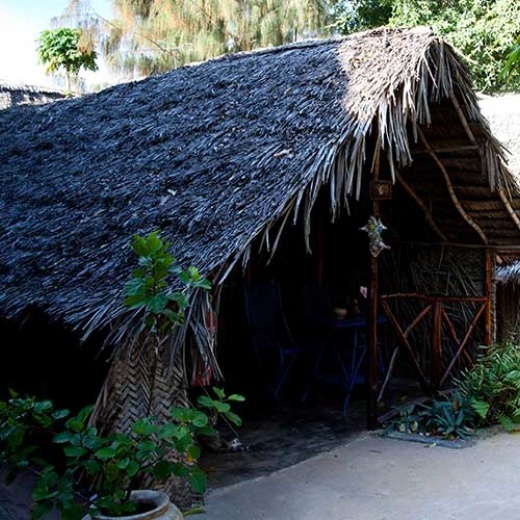 The Rocks Lounge at Kendwa Rocks Beach Hotel is the hottest addition to Zanzibar's night life. The pleasant cream and black décor matches the classic and gratifying experience of beach side luxury. The Rocks has become the place to welcome the island's most distinguished visitors. Zanzibar's finest DJ's magnetic performances! with the same magnetic feeling that Zanzibar itself has. Activities; Snorkelling, fishing, kayaking, sunset cruises, beach volley ball and football! Water skiing, kite surfing and parasailing are also available! Our dive centre offers PADI CERTIFIED DIVING AND GAME FISHING.